World class products alone don’t make a great company. 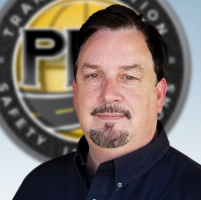 Our leadership team is made up of some of the most dedicated and knowledgeable professionals in the transportation safety industry. This collection of talent combines to bring the most innovative product solutions to roadways worldwide. If you would like to have any one of our executives speak to your group about transportation safety-related topics, please submit the speaker request form. 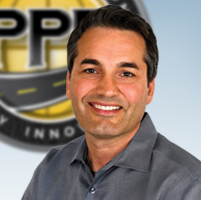 Greg is a creative visionary with an unrelenting passion to save lives by improving roadway safety. His strengths of innovation and leadership coupled with a systematic approach to business have allowed him to forge decades of history as a successful entrepreneur, public speaker and writer. He shares that his “uncompromising Christian faith and strong sense of family” are the foundations which have inspired him both professionally and personally. 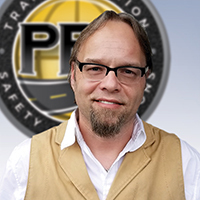 Greg serves as Chairman Elect of the American Traffic Safety Services Association (ATSSA) and is also an active member of many industry and trade associations. He volunteers as the PACE Chairman for the Institute for Worship Studies and is a member of The C12 Group. Greg is grateful for a wonderful 27-year marriage to his wife Debbie and a proud father of three children, all residing in the Jacksonville, Florida area. As the Co-Owner and Comptroller of PPP, Debbie is a highly respected professional with over 30 years of experience in Financial Management. 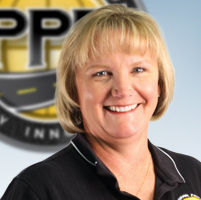 Debbie is motivated by the opportunities to affect the success of PPP, its employees and their families. Her strengths in her organizational skills and financial management have played a vital role in the success of PPP. In her spare time, Debbie enjoys keeping in physical shape, spending time with her family and volunteering in the children’s ministry at church, as well as leading a women’s bible study group. Carla is an individual motivated by her God-given desire to make a difference. After a 22-year career in the IT field, she began her search for a position that aligned to a philanthropic vision. “We spend the majority of our lives at work – I wanted to invest the remainder of my career working with a company that has a heart for God”, she says, “when I met Greg Driskell, I was consulting short term, but knew pretty quickly that our introduction was no coincidence and I’ve been working with PPP since”. Carla has worked in positions of IT Project Management, Vendor Management, and Sales Support Management with companies such as GE Capital, VoiceCom, FIS, and TD Bank. She is thankful for numerous achievement awards as well as her Six-Sigma certification which helped shape her career path. She proudly participates in The C12 Group, and in her spare time, Carla feels privileged to serve with her church Tech Team as Camera Director and Service Director. She and her husband enjoy volleyball, tennis, Formula 1 and visits with relatives in Florida. Chris began working in Traffic Safety in 2013 and has 36 years of experience in relationship management across multiple industries. He is a polished and dedicated sales professional who gains inspiration from helping others. He subscribes to the notion that the more time you spend helping others; the closer you get to your own personal and professional goals. 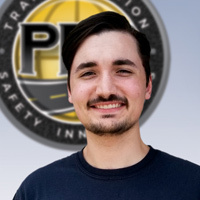 Chris is focused on customer relations for our traffic safety solutions in Retroreflective Technology. He also serves on the Texas ATSSA Sign Committee, and ASTM D04 & E12 committees. In his off-duty time, Chris serves as a Board Member of Watershed, Inc. (a Christian non-profit group), and Advisory Board Member of Missions International. He is a devoted husband of 33 years, he and his wife Maria have two children and reside in the Dallas, Texas area. Gregory has spent the last 10 years working in virtually every department within PPP, Inc. For the past 2 years Gregory’s focus has been in in the Marketing department and specializes in all things lead generation as well as trade show coordination, social media and of course videography. He has a passion for anything film and loves to infuse that passion into his work creating powerful and professional videos. Gregory is an adaptive professional who has worked in a wide variety of positions. From sweeping the shop floors to directing an upcoming video. 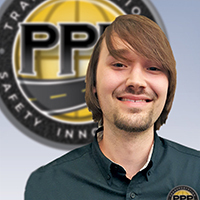 Gregory has always strived to learn every day he walks through PPP’s doors. When Gregory is not at the office you can guarantee he’s spending time with his wife and their “baby” dog. Gregory and his wife enjoy traveling, soccer, yoga and of course gaming. He loves to film anything and spends most of his weekends in Disney or St Augustine with camera in-hand. 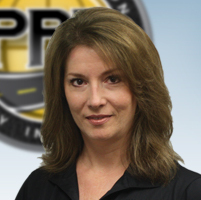 Monika has been a PPP family member for over 20 years and celebrates this as her career highlight and greatest success. 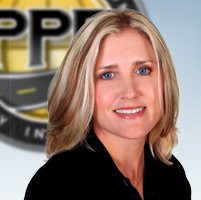 She has demonstrated tremendous dedication to our company and each of its customers. Monika’s strength is in building a lasting relationship with our customers that is successful for both parties and finds her fulfillment in seeing our customers smile and ensuring their satisfaction with our products and service. Additionally, Monika enjoys serving on the Texas ATSSA Pavement Marking Committee. In her off-duty time, Monika loves quality time with her family as a dedicated wife of 33 years, proud mother of three beautiful daughters, and one adorable grand-daughter. Traditionally trained in “old school” advertising and print methods as well as fine art, Rocco contributes a diverse skillset to PPP with extensive experience in creative design, illustration, digital marketing, web and video editing. Some of his career highlights include freelance work with Walt Disney World, Stanley Tools, Mac Tools and the NFL Alumni.Rocco excels at capturing the psychology of design and art – combining its attributes to convey a cohesive feeling is what he calls a “higher artistic talent”. Rocco says, “I am thankful for a God-given talent that I can share… Whether commercial or fine art, the process of taking a blank canvas and creating something that evokes a positive response gives me a fulfilling sense of pride”. Rocco lives according to his trinity of God, Family, and Design, and strives to keep a good balance of them all. He enjoys opportunities to draw or paint, and also spend time with his hogs (Harleys), and his dog. Taylor is motivated by the success of his peers and shows a constant willingness to contribute to the team in ways that are above and beyond his normal duties. He is adept at taking on new projects and tasks, and acclimates quickly, especially with things of a technical nature. In his spare time, Taylor is pursuing a degree in Information Technology Management and hopes to apply his gifts and talents in the future as a specialist in his field. He enjoys learning, to expand his knowledge and skills, and strives to keep it in balance spending time with family, friends, and video gaming.